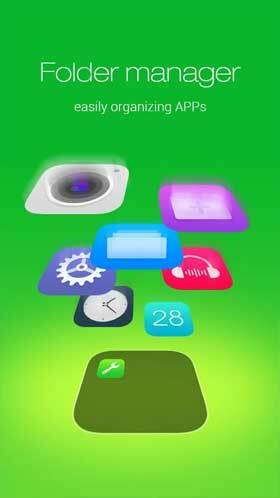 ZERO Launcher, the smallest, fastest, perfect launcher! Enjoy every tap and personalize your phone! Are you bored with plain android launcher? We offer the personalized one with free themes etc. Small 3D engine with unparalleled 3D effects. Free themes auto-correction and a user-friendly interface.
? Boost cellphone – Phone boost,speed up games, clean up memory (RAM) and boost device automatically.
? 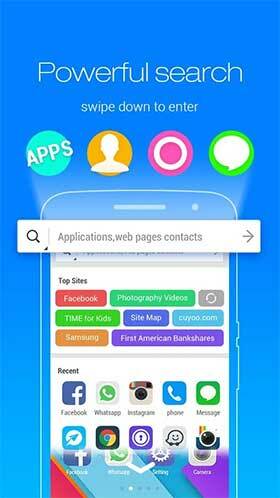 Search apps – Fast locate apps in fewest touches.
? Small phone Locker – Quickly lock phone in a single touch. Save power buttons.
? Features and functionalities – Screen effects, redesigned icons, Free themes, managet mobile phone. ?Customize android phone – Change phone effects fast in your launcher,support game folders,theme store and different launcher style, like Samsung,Motorola,Sony and so on. 1. How to search mobile phone apps? 2. 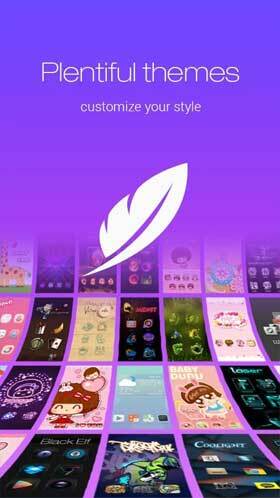 How to get more free themes,wallpapers, widgets and other resource from ZERO Launcher? a. Go into theme Store or search in Google Play. 3. How to manage your apps on screen? ZERO Launcher devote to be the fastest and smallest! ZERO Launcher delivers highly customized Android Launcher contains cool functions, fun decorations and premium themes.